2016 FLOW Kayaks King & Queen of the Harbour: The Year Of The Aussies! Auckland’s Okahu Bay glistens brightly - 130 colourful sleek carbon racing craft line up at the water’s edge. 10m’s back, lined up between the FLOW Kayaks flags, the anxious surfski, SUP and waka-ama paddlers jostle with nervous pre-race humour. Top seeded paddlers Cory Hill, Michael Booth and Rachel Clarke (2016 Surfski World Champ, runner-up and ladies 3rd-place-getter respectively), Tahiti’s 22 yr old SUP prodigy Niuhiti Buillard, Annabel Anderson current SUP World Champ and NZ’s Tupuria King Waka-ama legend nervously peer out over the glassy Hauraki Gulf, where two days before the weather was still forecasting big winds. Yes, the 2016 FLOW Auckland King and Queen of the Harbour is about to explode off the beach, kicking off the 2016 Surfski World Series! Click on the above link to see a short clip on the event! Hiromana Flores from Tahiti pulls a group out of Okahu Bay and into the Rangitoto Channel. With solid representation from the SUP racing discipline, Tahiti’s Niuhiti Buillard who is taking the Stand Up Paddleboard world by storm relished in the flat conditions and was just too slick for 2nd and 3rd place-getters, NZ Olympian JP Tobin and Sam Thom. The ladies race was snatched once again by Anabelle Anderson in a close finish, who was a very credible 4th SUP overall. Runner-up were local girls Penelope Strickland and Ange McKee. Rachel Clarke storms into Waiheke Island’s Matiatia Bay to cinch here 4th Queen of the Harbour title! “The race went OK for me – the only challenge I had was at the entrance to Matiatia Bay, where we saw the turn boat approach us before we headed north for the top turn.” While this cost Cory a few seconds it was a welcome opportunity for Michael Booth to get back onto the group 'Boothy' would later admit with a laugh. Flow are the headline sponsor for this years event, fronting up with a brand new FLOW carbon/Kevlar surfski worth $4000 for some lucky paddler! 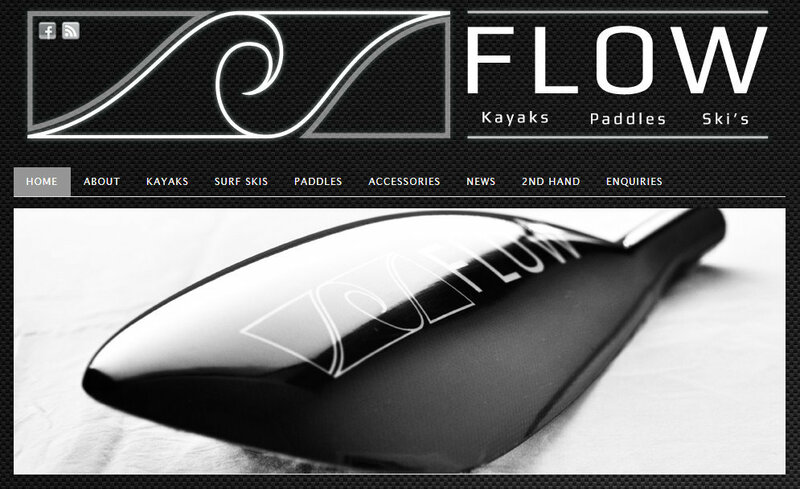 Flow quality products are proudly NZ made and Neil and team enjoy an association with discerning paddlers of these quality boats and paddles across NZ and Australia. Click on the link to find out more about Flow's products. 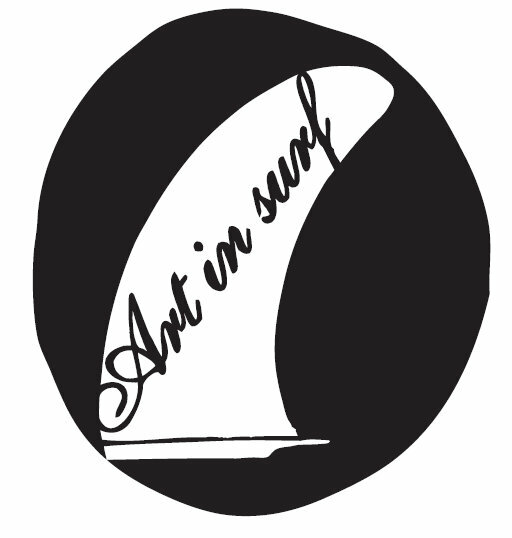 Art In Surf are proudly on-board again this year, and are providing a brand new SUP paddle from their current line up, as well as some other exciting spot prizes! Additionally Art-in surf are also the benefactor behind the absolutely stunning SUP Queen Of The Harbour Trophy, which has been hand crafted by Courtney and her dad! Click on the link above or hit up Courtney or Felipe for any of your SUP related questions! Welcome back to Charles and team, who provided the Winter Series High-Vis trucker caps. Strongarm are the benefactor behind the Strongarm Waka King/Queen Of The Harbour trophies and of course the Strongarm spotties! The high quality T's, hoodies and race gear are now synonymous with NZ paddling events! Click on the link to order your paddle-apparel now! Canoe Racing New Zealand provide their support to ensure that the King and Queen of the Harbour event remains the National Ocean Racing Championship for New Zealand, and provide water safety support, as well as officiating medals. Click on the link to find out more! Balance Sports Nutrition is one of the longest running, most trusted sports nutrition brands in Australia and New Zealand. Balance Sports Nutrition are responsible for ensuring our race packs and spotty-table is stocked with gels and bars. An amazing long time supporter o the Pacific Ocean Paddlers events, click on the link to to find out more. Pacific Ocean Paddlers are thrilled to see the race back on the World Surfski Series calendar again in 2016. With 19 race around the world this year, paddlers are tempted into exotic locations across Australasia, Europe, Africa and North America. This brings an exciting international element to this year’s King and Queen of the Harbour. Click on the link above to find out more! Terry and the iPaddle team are back with some high quality spot prizes, including a Mocke paddle-bag! Click on he link to find out more! Matty Graham, sports-scientist extraordinaire is back with two free copies of his e-Book 'Paddle Strong'! With a range of theory and paddle-specific strength training exercises there is so much in this book that just makes sense! Clicking on the link above will get you a free preview! Fergs Kayaks continue to support our events and this year are giving away a brand new Naish racing board! Simon and team continue the legacy, providing logistics support (trailers) and other spotties for the event. Click on the link to see what else Ian and the team have to offer! Star are once again behind this years event, breaking down to barrier to entry for new paddlers, assisting with organisation and of course with a range of entry-level boats, helping us get future champions on the water! Proud sponsors of this year's cotton event T-Shirt, Vaikobi are also providing the $500 Prize Pack, including PFD and various items of purpose-designed paddle-wear. Be on the lookout for some good deals at the 2016 King & Queen of the Harbour Race Headquarters! Click on the icon to order. Richard and the team from PaddlePro are no strangers to most of us, with their ergometer 'spinning' classes. Providing spotties and sponsoring the brand new Waka-ama King/Queen of the Harbour trophies, Richard doesn't just sell ergs: Pitting SUP/Waka/Kayak and Surfski paddlers together in an organised class simply adds another dimension to our training regime, to add some strength and conditioning to your paddling. jump on one of his demo ergs at the Race Headquarters, or click on the link to find out more! 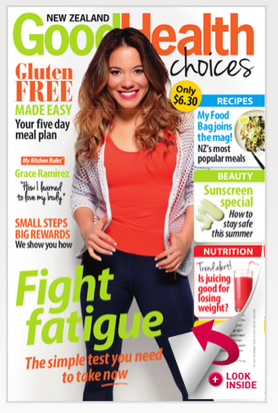 Good Health Choices are a major draw card for our sponsors with a readership of 155,000: Their sponsorship rewards us with a number of printed advertorials over the year! You will find a complimentary magazine in your racepack, both mag and goodie bag once again provided by Good Health Choices!